Not only are they a great solution for collaborative work, but the simple and understated design of these Herman Miller Sense bench desks sees them fit into any modern office effortlessly. Moreover, the simplicity of their design is mirrored in their construction; quick and easy to construct and use too! If you would like any further information, please contact one of our sales team on 07944 508282, or click on the Telephone Icon located at the bottom of this page. 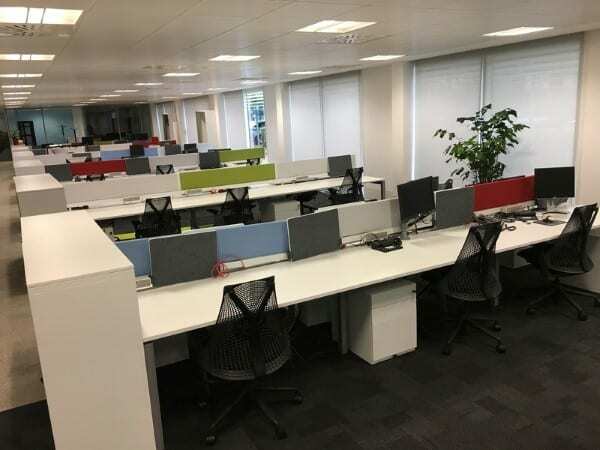 Otherwise, if these desks are not exactly what you are looking for, we have an extensive range of other second hand desks in stock. Just click on the link provided. Or, simply enter your details into our ‘Request a Quote Online’ form below and one of our sales team will be in touch very soon.